India is home to a number of world's major religions. Sikhism, comes from the word Sikh meaning a disciple, is one of them. The fundamental beliefs of the Sikh religion have been articulated in the religious book Guru Granth Sahib. Though followers of Sikhism can be found all across India, most of them are located in the Punjab region. If you want to know more about this monotheistic religion, you should definitely plan a Sikh pilgrimage tour. The spiritual teachings of Guru Nanak, the first guru of the Sikh, is truly worth exploring for everyone. The Sikh Pilgrimage Tour is specially designed to provide you with a well-rounded knowledge about Sikhism and what it stands for. Start your tour in Delhi while visiting places like Gurudwara Sheesh Gunj Sahib and Gurudwara Bangla Sahib. After a sightseeing tour of Delhi, head straight to Chandigarh, which is the capital of both Punjab and Haryana. Explore Chandigarh from one corner to another. After visiting the famous Sikh pilgrimage sites in the city, drive to Amritsar which is home to the world-famous Golden Temple. Spend time at this sacred Sikh pilgrimage site and check out other popular attractions of the city. Next, reach Faridkot to see the Gurudwara Sahid Gunj and Gurudwara Tibbi Sahib. 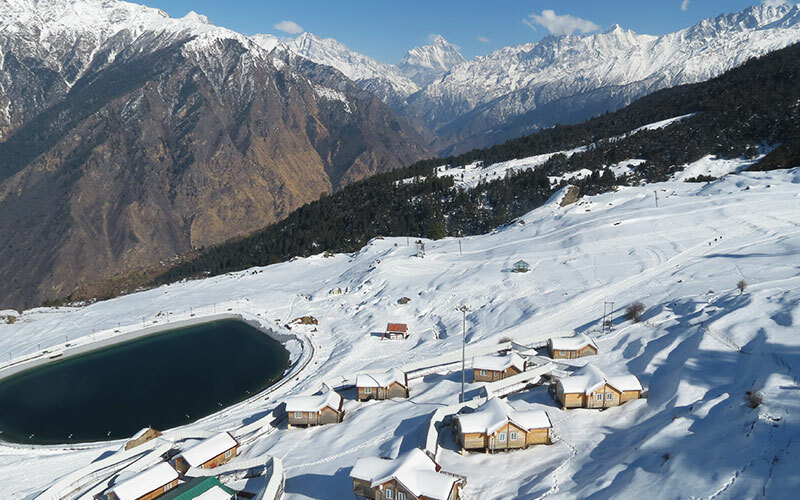 Next day, get ready to visit Dera Baba Nanak Ji and two famous gurudwaras - Gurudwara Sri Darbar Sahib and Sri Chola Sahib. Enjoy a full day of wonderful sightseeing in Patiala, the 4th largest city in Punjab. Visit many more Sikh temples and gurudwaras. After a city tour of Bhatinda, one of the oldest cities in Punjab, get back to Delhi for departure. You will be met on arrival at Delhi international airport by our representative and transferred to your pre booked hotel. If time permits, take a city tour of Delhi visiting Raj Ghat, Red Fort, Gurudwara Sheesh Gunj Sahib and Gurudwara Bangla Sahib – This Gurudwara belongs to Guru Har Krishan Sahib Ji, the 8th Sikh Guru who helped people suffering from small pox by providing fresh water from the well situated at this Gurudwara at present, While returning hotel drive pass through India Gate and President House. Overnight at the hotel. After breakfast, drive to clean city of India called Chandigarh. Upon arrival, check-in at the hotel. Later take city sightseeing of Chandigarh visiting Rose Garden – It contains over 1000 varieties of Rose. It is one of the largest rose gardens in Asia. Rock Garden – this garden is beautifully and artistically made up of waste materials by Nek Chand. Making the best use of disposable materials and domestic garbage, Amb Sahib Gurudwara of Mohali, Sukhna Lake – It was created by V L Verma chief engineer in 1958. Overnight at the hotel. Morning excursion to holy shrine Anandpur Sahib, It was founded in 1665 by 9th Guru Shri Teg Bhadur Ji. On arrival, visit the Gurudwara Anandpur Sahib Ji (It is a place where Guru Teg Bhadur Sahib Ji laid the foundation of Khalsa Panth in 1699 and then he spent 25 years of his life). Also visit Sri Kiratpur Sahib Ji, founded by 6th Guru Shri Hargobind Singh Sahib Ji in 1627, here Guru Ji’s spent a great part of his life; it is also the birth place of 7th and 8th Guru, Guru Shri Har Rai Ji & Guru Shri Har Krishan Ji. Later drive back to Chandigarh for overnight stay. After breakfast, we drive to Amritsar based by Guru Amar Das. 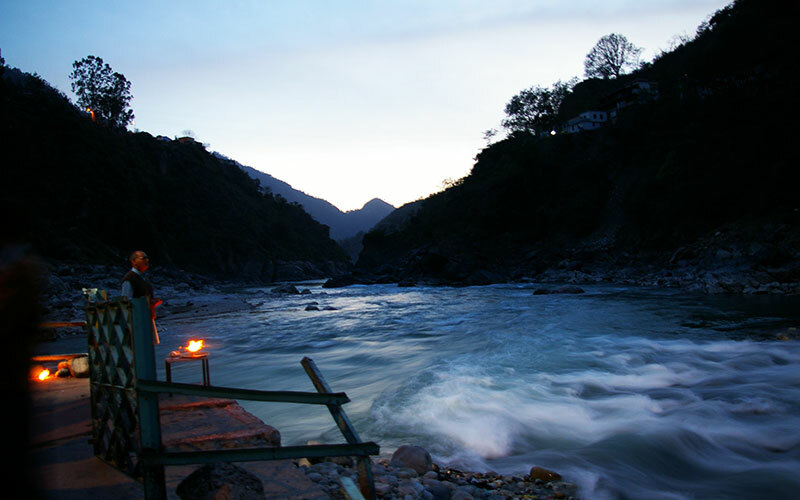 It is one of the most visited pilgrimage city by the domestic travellers. 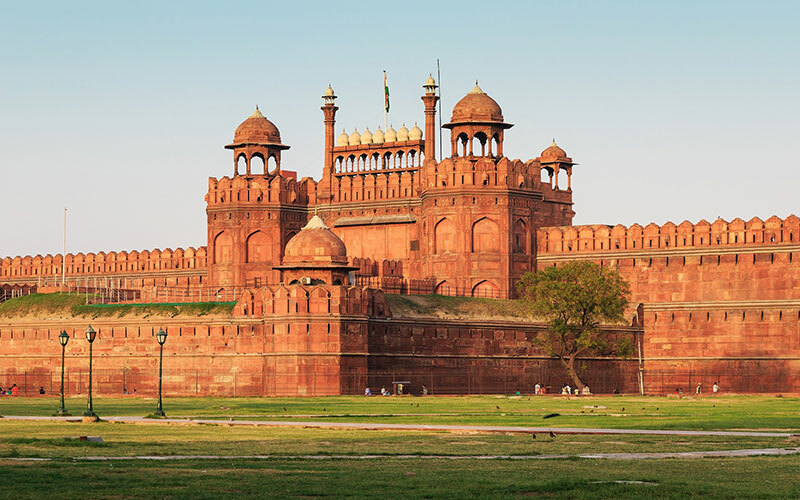 The city is well known for the Golden Temple, Jalia Wala Bagh and Wagha Border. On arrival, check into hotel for overnight stay. Evening is free to explore the local markets and restaurants to taste the local foods. 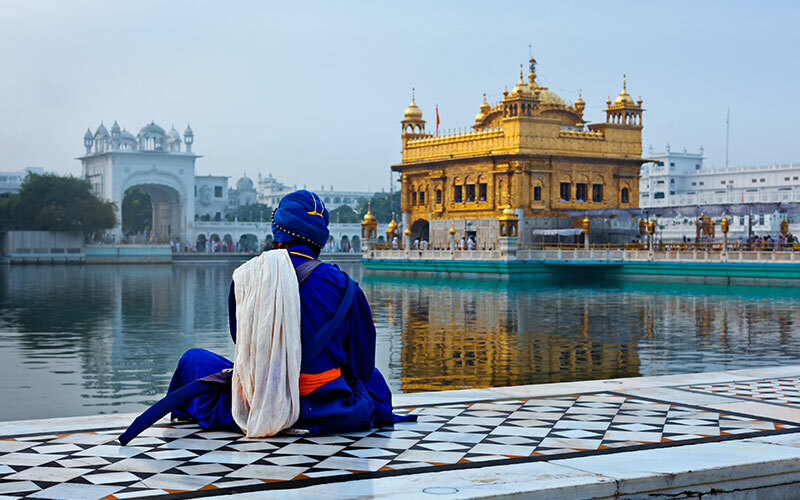 Morning after breakfast you will be taken for a city tour of Amritsar starting with the sacred Golden Temple Gurudwara complex also known as “Shri Harmandir Sahib”. It was constructed in the 14th century and it is the famous holiest place in the world of Sikhs. Also visit Jalianwala Bagh – situated near to the Golden Temple it is the memorable for the incident held in 13th April 1919 on the occasion of Baisakhi when General Dyer ordered to kill thousands of people gathered in the ground without allowing them any space to save themselves, Durgiana Temple – Dedicated to Goddess Durga, situated in the centre of lake. In the evening during sunset, go for a visit to Wagah Border to enjoy the “Change of guard ceremony” at India & Pakistan Border. Overnight at the hotel. Morning drive to Faridkot en-route visiting a Sikh temple called Hari-ke-Pattan, It is birth place of Guru Angad Dev Ji born on 31st March’ 1504. Upon arrival at Faridkot visit Gurudwara Sahid Ganj located in Muktsar (Faridkot) - their several Sikh’s scarified their life fighting against Mughals, Faridkot fort. Also visit Gurudwara Tibbi Sahib, Tambu Sahib and Darbar Sahib located at Muktsar. Later drive back to Amritsar. Overnight stay at the hotel. After breakfast drive to Dera Baba Nanak Ji – It is sacred place of Sikhs, situated on the bank of Ravi river en-route visiting Gurudwara of Sri Baba Lal Ji - It is a belief that if a person who has no child and if he take bath in the Baoli on a moonlight night of Saturday will be blessed with a son. On arrival at Dera Baba Nanak Ji, visit two famous Gurudwara Sri Darbar Sahib and Sri Chola Sahib. On the other side in Pakistan, Gurudawara Nankana Sahib. Afternoon continue drive to Patiala. On arrival, check into hotel. Overnight at the hotel. After having morning breakfast enjoy local sightseeing tour of Patiala visiting, Quila Mubarak, it was constructed by Maharaja Amar Singh in 1764 A.D. It is renowned for Painted chambers contains portraits of Hindu mythology and Sikh Guru, Moti Bagh Palace, It is now the houses of National Institute of Sports and art gallery, Rang Mahal & Sheesh Mahal, Darbar Hall & Lakshman Jhoola, which is a replica of Lakshman jhoola at Rishikesh and it is also known by Lachman Jhoola, it is situated in the front of Sheesh Mahal across lake. Later in the evening visit Ghuram, dedicated to Mata Kaushalya and Bahadurgarh Fort, built by Nawab Saif Khan in 17th century. Overnight at the hotel. After breakfast drive Bhatinda. Upon arrival, check into hotel. Later proceed for city tour visiting Bhatinda Fort, It is a place where Empress Razia Sultana was imprisoned, Gurudwara Shri Haji Rattan, Gurudwara Takht Damdama Sahib, Gurudwara Zafarnama. Overnight at the hotel. After breakfast transfer to the railway station to board your train to Delhi. Meeting and assistance upon arrival at Delhi railway station and transfer you to the international airport to board your onward flight.